How well do you know your fertilisers? Whether you add organic matter or fertiliser to your soil, you provide your plants with three basic building blocks. These are nitrogen, phosphorus and potassium, often referred to by their chemical symbols of N (nitrogen), P (phosphorus) and K (potassium or potash). Packaged fertilisers list the amounts of NPK each product contains, often showing it in a ratio format, called the NPK ratio. Soil microbes need to break down the fertilisers into a soluble form so it can be taken up by the roots of the plants. Soil microbe activity depends on soil temperature and soil moisture. In cold climates, microbial activity slows down to a crawl, but so does the plant's uptake of nutrients. In warmer climates, soil microbial activity is year round and the decision as to which fertiliser to use is down to convenience. Liquid fertilisers are fast acting but need to be applied fortnightly for the most part. Solid, granular and pelletised organic fertilisers are best applied to the soil when the soil microbe activity is the most active. The way plants use nutrients is quite complex and varies from plant to plant. Some need lots of one nutrient but little of another, while others need a balanced amount of each. Understanding which nutrient does what gives you a rough guide to selecting the right fertiliser for your plants and garden. 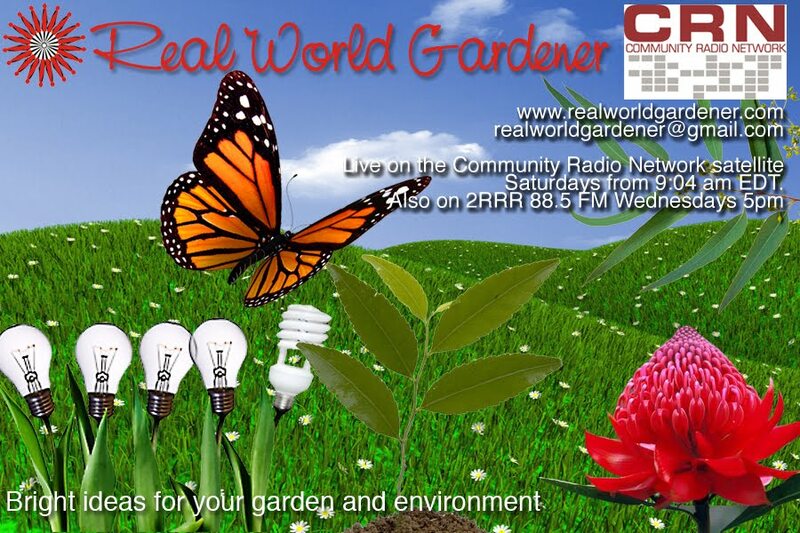 If you have any questions about fertilisers or have some information to share, drop us a line to realworldgardener@gmail.com or write in to 2RRR PO Box 644 Gladesville NSW 1675 and I’ll send you a packet of seeds. Ever heard of a plant that smells fishy? Could I be pulling your leg with this next offering in Vegetable Heroes? Houttuynia cordata is Vietnamese Fish Herb is in fact a real herb. What is this fishy smelling herb with a hint of citrus which is also known as chameleon plant, fishwort an bishop’s weed? It’s also known as Dokudami which means “poison-blocking plant” and was often used for the exact same purpose. Vietnamese fish mint is a flowering plant native to Japan, Korea, southern China, and Southeast Asia, where it grows in dark moist, shady places and along river banks. Sometimes submerged deep in freshwater areas. A somewhat invasive plant, it can be found growing on hills, fields, and even between cracks in asphalt. In those countries it’s used as a leaf and root vegetable. Vietnamese fish mint smells like a combination of fresh fish, mint and citrus, and has large amounts of the aromatic chemicals myrcene and undecanone. These and many other naturally occurring chemicals are the basis of its huge list of medicinal uses. According information about this herb it treats stomach aches, indigestion and swellings. Among other things. Leaves can also be crushed to a paste to cure insect bites, rashes and itching. The leaves are sort of heart shaped, and the plant itself grows to anywhere between 20 – 80 cm, depending on the climate and conditions you’re growing it in. Vietnamese fish mint does have flowers in summer which are greenish-yellow and only 2-3 cm in size. At first glance, a fishy tasting herb doesn’t seem all that appealing but, you can use in fishy flavoured dishes, with grilled meats, fish and noodle soups. The roots are rather interesting and grow to resemble a big ball of spaghetti which can be eaten raw or cooked. Some people prefer the roots to the leaves because they have an aromatic flavour like ginger or galangal but without the heat. Vietnamese fish mint is apparently an extremely common garden plant in the UK and is able to withstand temperatures down to -150C. 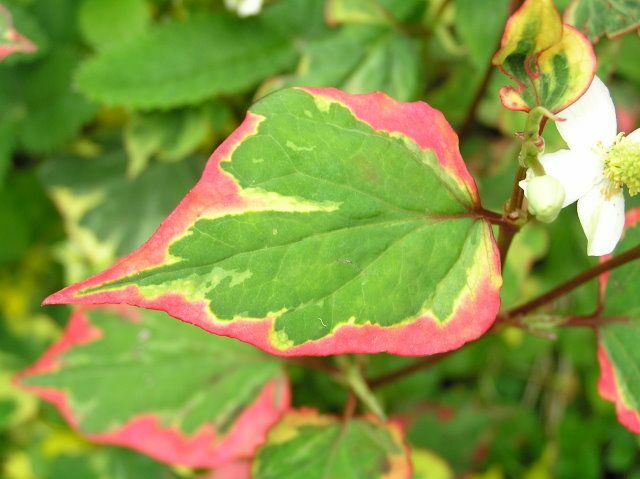 However, the variety grown in England is the one with mottled technicolour splodges called Houttuynia cordata Chameleon, where the one grown in Asia is the plan leaved variety. These plants grow best in very damp, rich soil either in the garden border or in the boggy margins of a pond, being perfectly happy with their roots entirely submerged in water. In full sun, they’ll have a stronger taste and more intense colour on their leaves. But if you’re keen on a milder flavour, then grow it in partial shade which will give you larger pungent leaves. The plants are extremely vigorous and will spread out in all directions because of the vigorous roots system. This plant is super tough, and in moister areas it really can be weedy, but if the plant strays too far, they’re pretty easy to pull out. However, there’s no reason to plant it out into the garden because it grows really well in pots in a shady location but keep it moist. There’ll be plenty of leaves for you, the chooks and the guinea pigs. Vietnamese fish mint can be eaten in all the same ways as regular coriander-sprinkled in salads, stir-fries and added to soups and stews. It makes a pretty good garnish and is traditionally used in Cambodia chopped up and sprinkled over a salad of sliced hard-boiled duck eggs with fried ground chillies, mint, chopped raw shallots and roasted peanuts. In Malaysia the leaves are added to a spicy coconut laksa and in Thailand it’s used in heaps of salads, whereas in Vietnam, they used summer rolls. Here’s a recipe for a salad using both the root and leaf of this fish mint herb. Marinate 10 minutes, not more. Top with chopped coriander, spring onion, and finely chopped smashed garlic. 2 large handfuls of Thai basil leaves, mint and vietnamese mint leaves. Make the dipping sauce by mixing the peanut butter, fish sauce, lime juice etc. Working with one rice paper round at a time, dip it into a shallow bowl of cold water and leave it to soften for a minute. Remove and lie on a damp paper towel and cover with another damp paper towel. Continue until you’ve done 6. Fold the edge of the paper closest to you over the filling then fold in the sides and roll the whole thing up like a burrito into a tight cylinder. Place on damp tea towel to prevent it from drying out. Repeat with other round. When you’re allergic to a substance, your body produces histamine, a compound that initiates an immune response. Studies demonstrate that Vietnamese fish her has inhibitory effects on histamine release, possibly blocking it and reducing its effects. This herb is high in antioxidants promotes intestinal balance by discouraging harmful bacteria from thriving in the digestive system. The Scented Garden: Part 2 climbing plants. How many gardeners do you know of that don’t like perfume or scent in the garden? Hopefully, those of you listening to this program like scented plants because scent adds an extra dimension to a garden, turning it into a place where you linger, indulging your senses rather than rushing through to the front door or garden shed. Let’s continue this new series on scented plants for the garden with part 2of scented climbing plants. I'm talking with Landscape Designer Peter Nixon. With the wide range of temperatures in Australia, there are a huge variety of fragrant plants that can be grown. Many flower during the colder months so that even when there’s not much colour in the garden you can still have plenty of fragrance. Use plants that flower in different seasons to turn your garden into a perfumed paradise all year round. 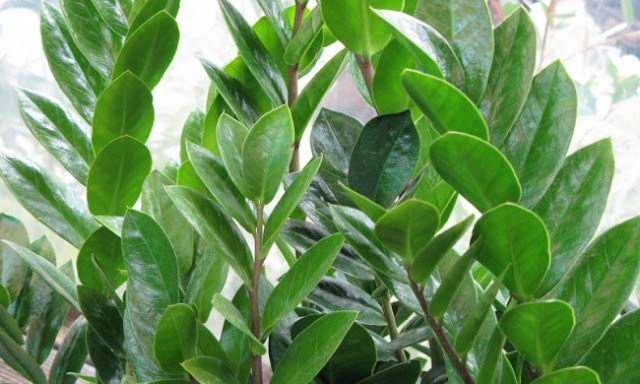 A popular houseplant which has been around for over a hundred years, but most wouldn’t have heard of it until 10 or 15 years ago. Why it’s so popular is it’s perfectly suited to the black or brown thumb gardeners because it’s unbelievably tolerant of a wide range of conditions. It’ll allow you to forget to water for months at a time; put up with dark conditions that would make a Mother –in-laws Tongue plant (Sansevieria trifasciata) turn up its toes, they're okay with no humidity and are more or less pest-free. Pinnate leaves (arranged like a feather), 40 -6- cm long with 6-8 pairs of leaflets. Leaves are smooth, leathery, shiny and dark green. 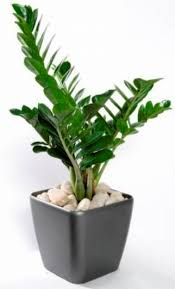 Overwatering is likely to kill the plant. Best to keep it on the dry side to prevent tuber rot. Mind you some green thumbs have been known to kill it.